Deborah (Debi) A. Boyle MSN, RN, AOCNS, FAAN, is editor in chief of Oncology Nursing News®. She is a long tenured oncology clinical nurse specialist who has practiced in both Comprehensive Cancer Centers and community cancer programs. 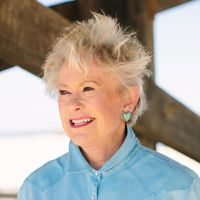 A frequent speaker nationally and abroad, Debi is the recipient of numerous honors and has published more than 330 articles, chapters, monographs, editorials, blogs, and books. A writer, editor, and speaker, Debi is dedicated to advancing quality nursing education and practice within cancer care. As more patients are living longer after their cancer diagnosis, cancer survivorship is becoming a top concern for healthcare providers. Follow up care provided within a multispecialty clinic where the survivor has access to numerous specialists depending upon their identified issue or need. An emerging concept within survivorship care planning is risk stratification whereby survivors are assigned to low-risk, intermediate-risk, and high-risk categories.5 This assignment is based on the nature of the treatment received, likelihood of long-term and late effects, and risk for recurrence. Risk assignment influences the type and timing of survivor follow-up. While survivorship care plans serve as an important communication conduit, their efficacy remains questionable.6 To-date research has not established the care plan’s positive impact on quality of life and distress reduction following care plans’ implementation. As one of the newest approaches in the management of cancer, the field of survivorship is still a work in progress. It is imperative that we keep abreast of ongoing findings that inform us of new problems and interventions our patients face along the cancer continuum. It is highly likely that oncology nurses in the future will be expected to be as competent and confident in their skills in survivorship care as they are in their mastery of administering cancer therapies and managing their sequelae. Shapiro CL. Cancer survivorship. N Engl J Med. 2018 Dec 20;379(25):2438-2450. doi: 10.1056/NEJMra1712502. Bluethmann SM, Mariotto AB & Rowland JH (2016). Anticipating the ‘silver tsunami’: Prevalence trajectories and comorbidity burden among older cancer survivors in the United States. Cancer Epidemiol Biomarkers Prev, 25: 1029-1036. Boyle D. The caregiving quandary. Clin J Oncol Nurs, 21(2): 139, 2017. Halpern MT, Viswanathan M, Evans TS et.al. (2015). Models of cancer survivorship care: Overview and summary of current evidence. J Oncol Pract, 11(1): e19-e27. Frobisher C, Glaser A, Levitt GA et.al. (2017). Risk stratification of childhood cancer survivors necessary for evidence-based clinical long-term follow-up. Br J Cancer, 117: 1723-1731. While oncology nurses have historically focused on their roles within active cancer therapy settings, it is timely to consider expanding our influence to encompass cancer prevention. Some groups are more prone to the disease than others. Lay family caregivers may feel alone and vulnerable when providing care to their loved one outside of the hospital and clinic setting, but apps can help. The acknowledgment of opioid abuse as a national healthcare emergency has been in place since 2017, making it is a relatively new public health concern.